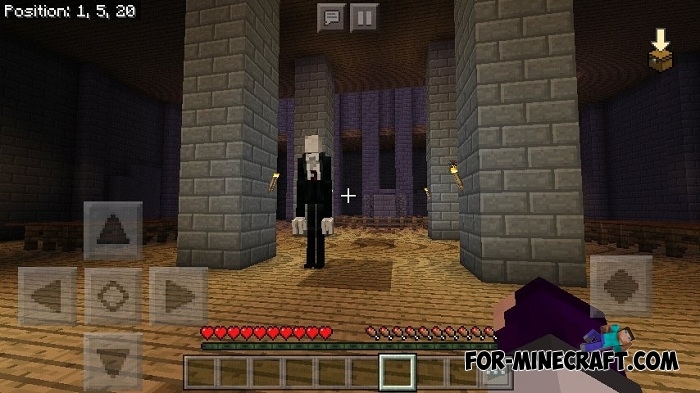 Slenderman was updated for Minecraft Bedrock 1.2 in this version of the addon, which can not be said about the previous ones. This tall monster is familiar to almost everyone: he does not have a face, only a strict black suit. All those who met him were killed therefore the slenderman will become the most dangerous monster but only in the dark. In most cases, addon makers replace endermen because of the great similarity, but the Slenderman addon chose spiders for good reason. Thanks to the night properties, the slenderman will attack you only in the dark, which makes night walks very dangerous. With the new parameters, the slenderman will not hiss like a spider and weave a web, beware of him. There are similar mods for MCPE, they are on our site and are suitable for outdated versions of Minecraft. 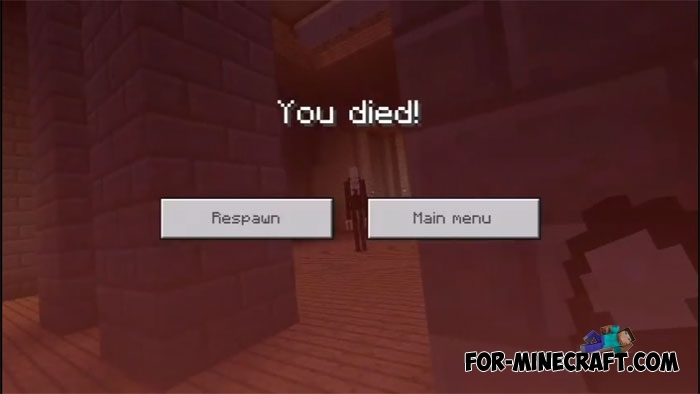 How to install the Slenderman addon?